Our Firm Let Insurance Providers Compete and Wound Up Saving 13% On Our 2018 Healthcare Costs - Ward and Smith, P.A. Remember the good old days when healthcare benefits were provided at a premium level for a small additional cost to the employer? Many of us have not been around long enough to enjoy that recollection! 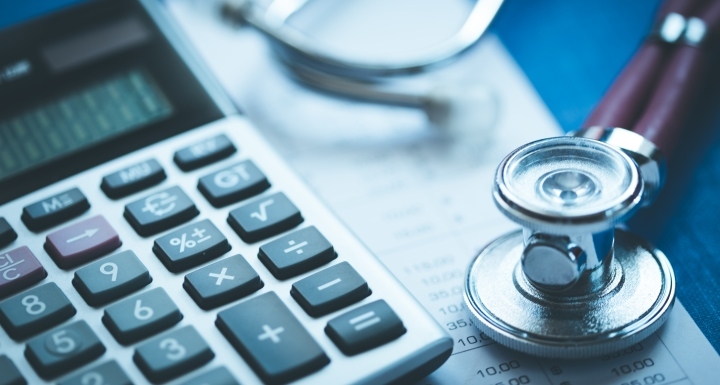 Today, healthcare costs are a major line item in most law firms’ budgets and these costs are growing at an alarming rate, motivating firms to work hard to find ways to reduce rates. Healthcare costs are also an important consideration for recruiting and hiring. New employees are scrutinizing a firm’s offered healthcare benefits during their job decision-making process. Let’s face it, most mid-size law firms pay attorneys and staff within a similar range. So, many firms are trying to attract the same top talent, and those candidates take a careful look at not only salary, but also at other financial benefits of their employment such as the existence of a 401K, bonus potential, and, importantly, the cost to them of healthcare coverage. To address these concerns, many firm administrators work with a benefits broker to ensure we are exercising due diligence in selecting a cost-effective health insurance provider. But even this process can be difficult. In fact, it’s likely many of you have had the following experience: It’s time for your annual health plan renewal and your trusted broker comes in and tells you that the healthcare cost trend is an annual increase of eight to ten percent. Then the broker brings you an initial quote from your current insurance provider that reflects an increase of twelve percent. This is usually accompanied by a statement about how much the insurance provider appreciates the long relationship they have had with your company and that they will barely break even with your renewal because the cost of healthcare just continues to increase. Your broker then shares with you an analysis of your costs and suggests that a “fair” renewal should be more like six to eight percent rather than fifteen. Miraculously, the broker then comes back in a week or two and tells you they have great news. “Our current insurance provider has agreed to a renewal with an increase of ONLY six percent, but only if you will execute an agreement right now and not “shop” or get competitive quotes from other providers.” Sound familiar? I have had this same challenge, but let me share a recent experience of what can happen when you infuse competition into this process. During our firm’s recent renewal process, the above scenario is just about exactly what occurred. Our organization, in the past, had several bad years of insurance claims which had driven up our costs. However, in recent years we had experienced several good years of claims. Our goal with the 2018 renewal was to “reset” our costs. We felt our carrier was penalizing us for the distant history of bad claims. We knew that although historically there has been one giant (to remain nameless in this article) healthcare provider in North Carolina, other providers have become viable in recent years, and we decided not to stop with the current provider’s quote, but instead to force competition for our healthcare benefits business. We sought and received several competitive quotes from providers other than our current provider and through two rounds of back-and-forth negotiations we ended up with a renewal that represented a thirteen percent reduction to our costs. I REPEAT, WE ENDED UP WITH A THIRTEEN PERCENT REDUCTION IN OUR HEALTHCARE COSTS!! By the way, our longstanding insurance provider who initially quoted us a twelve percent increase because they “valued our long term relationship” gave us a final quote which reflected a ten percent decrease in costs— a twenty-two percent difference from their initial quote. However, our firm won’t know how that would have worked in the future, because that company is no longer our insurance company. In this difficult marketplace of healthcare costs and employee scrutiny, you are wise to search beyond your current healthcare benefits provider and seek competitive quotes for coverage. The result can be startlingly positive! 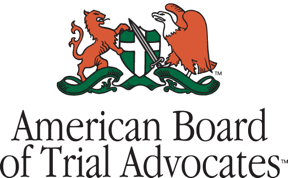 This article was originally published on the L3: Long Leaf Law blog, the blog of the North Carolina Bar Association. © 2019 Ward and Smith, P.A. For further information regarding the issues described above, please contact Michael R. Epperson.